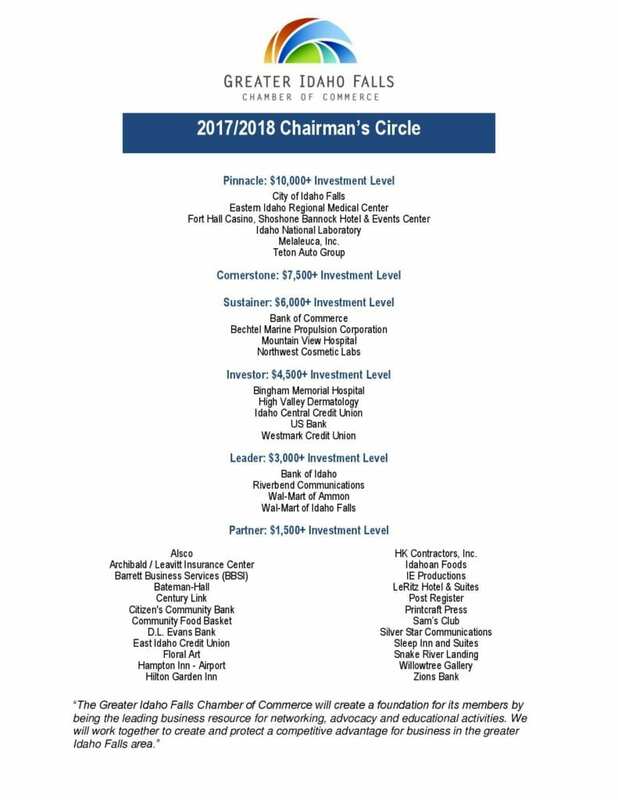 The Greater Idaho Falls Chamber of Commerce Chairman’s Circle represent businesses that are actively involved in the Chamber’s success, are engaged in economic development and advocacy activities, and help provide the resources required to ensure the success of Chamber programs and events. Companies that comprise this group understand the importance of a vital Chamber of Commerce and the opportunities that support and participation at this level provides. 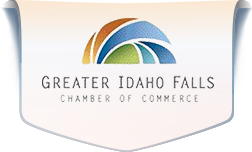 To learn more about participation and sponsorship opportunities, please contact the Greater Idaho Falls Chamber of Commerce CEO, Chip Schwarze, by email at ceo@idahofallschamber.com or by calling 208-523-1010 today!